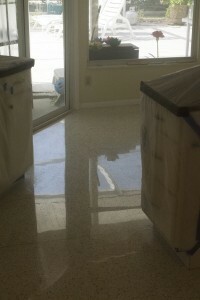 I often get calls, from exited home owners, elated that they discovered terrazzo under their existing flooring. Other times I am told that workers, or even flooring guys inform new home owners that they have terrazzo floors under their tile, or carpet. 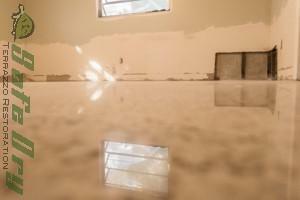 Customers have told my they would have paid more for their house because of the terrazzo. 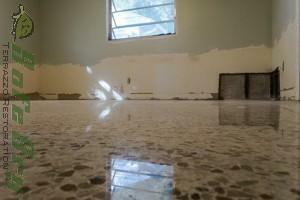 Today a home would likely need a three million dollar price range to be built with terrazzo flooring. Mid century modern with diamond polished terrazzo flooring. The best flooring for any price. No seems, no grout, no need for professional cleaning. Terrazzo, Florida’s buried treasure.